Annual end-of-the-year music review, here we go! (and quite possibly my favourite blog to write each year). The process is simple: I rate my favourite albums from this year, focusing on albums as a whole, rather than individuals tracks or artists. My choices are motivated more by my own preference than by critical analysis. Essentially, these are the LP’s I want on my shelf and would (and have) listen(ed) to in their entirety over and over. R&B soul and Leon’s vocal warmth? Yes please. Good Thing is an expansion of the Bridges’ we all fell in love with in Coming Home, but with even more creativity and sense that Leon has really come into his own as an artist - testing the boundaries of the “character” role he was initially cast in, and mixing in modern elements and twists that make this album a true gem. It’s rich in love songs devoid of cliche and in R&B goodness, and that alone is an impressive and enjoyable feat. I’ll admit, I was late to the Arctic Monkey’s craze, but after hearing about how good this album was at the beginning of the year, I dove in to see what I might be missing. Turns out, I was missing out on creative, musical genius. Tranquility Base Hotel & Casino is, quite possibly, the best album from start to finish on this list. This project is almost flawless in how cohesive it is. It’s also crazy quirky and creative and at times absurd, blurring postmodern contemplation with electric inspiration. This is a commentary on modern society, for sure, but it’s also entertaining and compelling and different in a way that made a top-3 choice for this year an easy one. This album might win for sheer air-time, as it became the back-drop to many workdays. It’s a simple project (especially when following up on the review of the Arctic Monkeys), but don’t confuse that for being boring or weak. The ethereal current at times (ex: Tongue Tied) reminded me of Novo Amor or Vancouver Sleep Clinic, giving the project a reach beyond the limitations of classic “folk”. The depth and reach of Beta Radio’s vocals are the highlights of this project, working harmoniously with the perfect amount of instrumentalism to tell a compelling story of home and belonging. Brooke is my girl. By that, I mean that if I was told I could only listen to 5 artists for the rest of my life (as much as I hate the thought), she would make the cut. 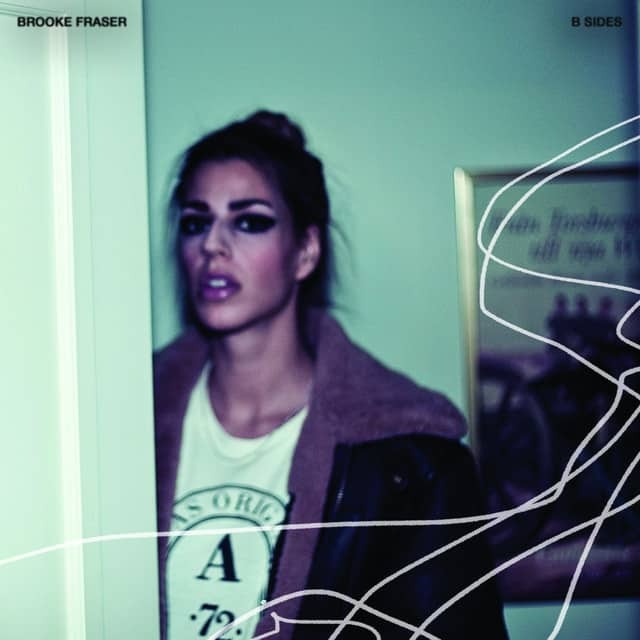 She’s been one of my favourite musicians since I was a teenager, and I’ve loved the progression and depth and reach of her career so far (both with her Brooke Fraser solo projects and her continued involvement with Hillsong). So when she abruptly dropped B Sides this year, I was THRILLED. This album is a collection of some previously released tracks, some behind-the scenes cuts, and some live tracks - spanning most of her career. Even in it’s slight disconnection given those factors, this one is a gem. Her true lyrical genius comes out in Human, St. Petersberg, Circles & Squares, The Future (Tell me Love Remains), and her cover of The Sound of Silence is chillingly beautiful. One of the things I love about Isakov’s music is how heavily he leans on the natural world for inspiration - both in metaphor for his lyrics and for the weight, echo, and reach of the band’s sound. Evening Machines is perhaps the best example of this so far. This project is a bit moodier than previous releases, but carries a weighty maturity as well, beautifully explored through layers of sound and the use of strings and percussion. Side note: I was able to catch an Isakov show when I was back home in Vancouver this fall (my 3rd time seeing this band perform live) and the richness and range of Gregory’s voice combined with the band’s instrumental integrity is truly a thing of beauty. Josh Tillman reportedly wrote this entire album in two months in a New York hotel. The result is an emotionally nuanced and vulnerable project. I sporadically listened to Father John Misty’s records prior to this album, but they felt a bit flat and I never thought much of them. God’s Favourite Customer felt like he had something different - something worthwhile - to say and wasn’t content to fall into folk cliches or ruts in the exploration thereof. I kept coming back to it, because it’s so compelling and layered. He dwells a lot on concepts of grace and generosity, from the perspective of one learning and holding tight to these concepts, rather than someone who’s arrived at their resolution or any semblance of expertise. “The Waking Hours is about love found and love lost, love let go and love longed for — all the complexities of humans in love,” Jones explains of his fifth studio album. “The title is playing off the idea of lovers from another lifetime, but applies to the here and now, other times in our life, the different people we shed and become in a lifetime. It conveys the push-pull of an unsure love and letting the need/hunger for love override our own good sensibilities.” Overall, it’s a coherent and invitation album in the exploration of these ideas and is both a compelling and calming project. Eric Church is, in my opinion, in a club with Zac Brown Band, as being the best parts of the country music genre. Part of what makes his albums so good is that he transcends country and stakes a legitimate claim in rock&roll, folk, and sometimes even blues. 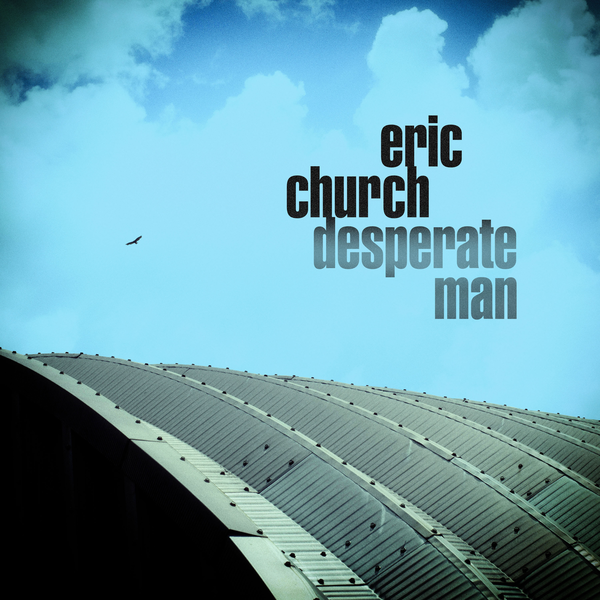 Desperate Man is Eric Church at his best with soulful narrative songwriting, lyrical genius, and a surprising amount of personal and political nuance in an album that present pretty musically lean. Church isn’t writing for a stadium in these songs and doesn’t shy away from emotion - even tender emotion (Heart Like a Wheel is now one of my favourite Church songs), which is a new expression for country’s rebel Chief. This was, without a doubt, the soundtrack to most of my summer: played over and over on trips to and from the mountains, bike-rides, and even on quiet days at home. It’s a sunshine saturated collection of laid-back, acoustic driven, but multi-faceted love songs and songs about discovery, growth, and belonging. It’s more personal and slightly more raw that Joy’s first album, but this one is still driven mostly by the feel-good acoustics and warm vocals. Bonus: Vance Joy’s Live at Red Rocks Amphitheatre album was released this year too - with tracks from this sophomore album as well as his 2014 debut Dream Your Life Away. Soooo good. 10. Mumford & Sons, Delta. No, this is not Mumford’s best album. And I know that picking this in my top-10 this year goes against the general critical voice that suggested this album was mediocre. But I really enjoyed it. It’s a heavier and almost paradoxical album lyrically, and admittedly a bit sporadic at times in the reach of the styles within, but I found the momentum throughout enough to pull the project together. Maggie Rogers: Maggie Rogers’ music this year was my favourite music discovery of the year. So much so that if she had released a full-length album, I’m confident it would have made my top-3 albums for 2018. Good news is that she is releasing a full album in 2019 (yessssss!). But please, go listen to Alaska and Falling Water and everything else she released this year. 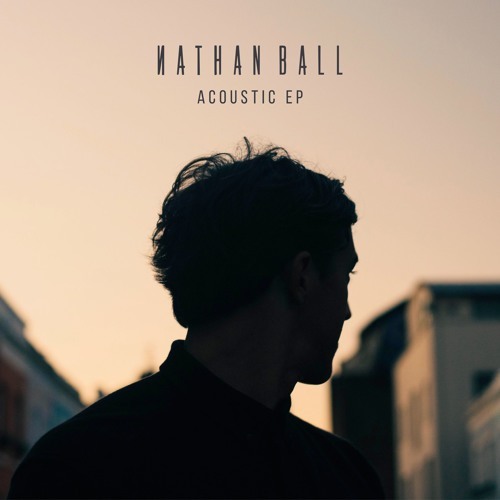 Nathan Ball, All or Nothing and Acoustic EP: I’ll become a broken record with these EP’s quickly, because the only critique I have of them is that I wished they were full albums. Nathan Ball’s Acoustic EP was one of my go-to projects this year - it’s calming and smooth, yet carries enough substance to resonate far beyond the typically shallow category of “beachy singer-songwriter”. Ball reminds me of a mix between Ben Howard and Ziggy Alberts, with an extra dose of introspective soul. I’m a big fan. Iron & Wine, Weed Garden: This is a sorrowful, lamenting project - yet holds surprising beauty and lightness in the same space. Following the (now expected) schedule of an Iron & Wine EP being released in between full albums, Weed Garden holds a diverse reach, especially in only 6 tracks. Sam Beam’s iconic consistency in writing about the finite realities of human existence are present here, but so are some folk-funk moves and some almost carefree melodies that suggest Beam isn’t content to be classified as one-dimensional. Josh Garrels & Josh White, Resurrect our Love: Apparently Josh&Josh have been covering each others songs for a little while now, so they saw this project as a natural extension of their mutual admiration for each other’s work, with even more focus on the collaborative potential - the result being 2 covers each of each others songs and song written and sung together (Spirit Resurrect). Lyrically, this album is stunning, which is what you expect from anything Garrels is involved in. Shout out to Canada’s feel-good pop-rockers. This album still follows their formula for piano driven, optimistic anthems, with a strong reliance on horns and guitar and the reliability of Max Kerman’s voice, but manages to do so without being overly produced or unnecessarily pop-driven. It’s fun and engaging from start to finish. It’s clear throughout that these Hamilton rockers continue to pull inspiration from rock icons such as The Tragically Hip, Springsteen, and Fleetwood Mac, but given the track-record of those artists, that inspiration is a strength. Overall, it’s one of the most up-beat and energizing albums on this year’s list and it’s yet to feel stale or repetitive. My New Moon felt at many times this year, exactly like the songs reflective of our individual/communal spaces in 2018. It’s a project that holds tight to themes of loss while simultaneously looking forward to newness, with mature, tested, yet-enduring hope. This album is more stripped bare (and less Jazz-inspired) than some of his more recent projects, and I loved that. 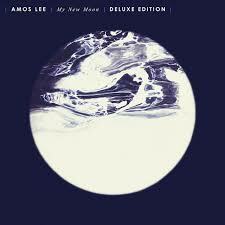 This one is acoustic-soul, allowing Lee’s vocal brilliance to shine. Cara’s incredible voice is only getting better (the range! the soul-meets-sass!) and lyrically, she’s traded the teenage angst of her first project (written when she was a teenager) for this coming-of-age commentary (at the age of 22) for the girl who never fits in. 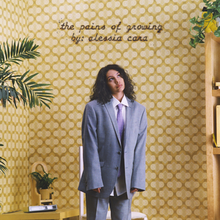 Alessia wrote or co-wrote every track on this album and produced three of them herself, which only further conveys her ownership over the whole process - and consequently - the result. 4 albums in and Yukon Blonde is really coming into their own - as well as better production. Critical Hit is a fun exploration of the band’s creative limits, incorporating some synth and pop, and blues. The lyrics range from sarcastic to poetic and sometimes both. Overall, it’s an enjoyable project, with a few tracks that stand out as being particularly worthy of repeat play throughout the year. The release of this album went something like this: excitedly counting down to album release, having mixed feelings about the singles being released, having mixed feelings about the album as a whole, but coming back to a few songs within that are simply incredible (when JT is on, he’s still one of the best), and realizing that they’re good enough to carry the few mediocre outliers (that frankly made me wonder what JT was thinking). Summary: This album is inconsistent at its worst, and brilliant at its best. If there was a score for ambiance in albums, this one would be off the charts. 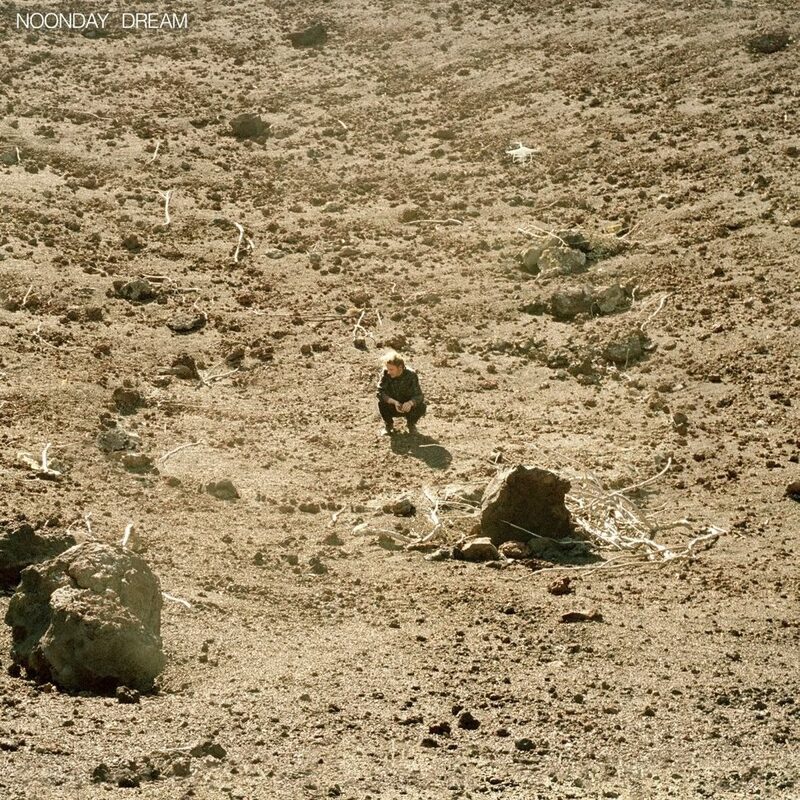 Howard dives deep into atmospheric vibes and deviates almost recognizably from his previous work - although with some thematic connections to I Forget Where We Were. It takes longer to appreciate than his previously (more accessible) projects like Every Kingdom, or at least it did for me, but once immersed, it’s truly exquisite. I first discovered Alberts when visiting my dear friend Marita in Norway (a normal/predictible place to discover an Australia surf inspired singer, right?) and since those early days of having his first album on repeat while exploring Oslo and Bergen, I’ve been a huge fan of his work. Laps Around the Sun is a more mature project than the sunshine inspired tunes of his earlier projects, and that’s part of what makes it really good. I discovered Scott Orr through my cousin, Allison, who just so happens to also sing some background vocals on this project. I was pretty hooked from the first EP Orr released and since then have awaited every release with much excitement. I come back to this delicate folk project regularly. It’s almost hushed in its tone, but combined with its steadiness, electronic hues, and quiet grit, it’s memorable and a thing of beauty. I’d be remiss to not give a shout-out to this album, which was easily one of the most frequently played albums for me. The title track became the song in Christian/Worship music in 2018 (for good reason), but this whole project - from start to finish - is one of the best worship albums (lyrically and in its composition and combined flow) I’ve discovered in recent years. "Endless Alleluia" is alone worth a listen (or two, or three…). Hillsong rarely releases an album that isn’t solid from start to finish, and There is More is no exception, holding songs that became, in many ways, the soundtrack for my 2018 (New Wine, anyone?). I’m continually thankful for Hillsong’s creativity while keeping their eyes focused on Christ.